Jio new recharge plans october 2017– Hi Guys , Hope You are enjoying Jio 4G Data. 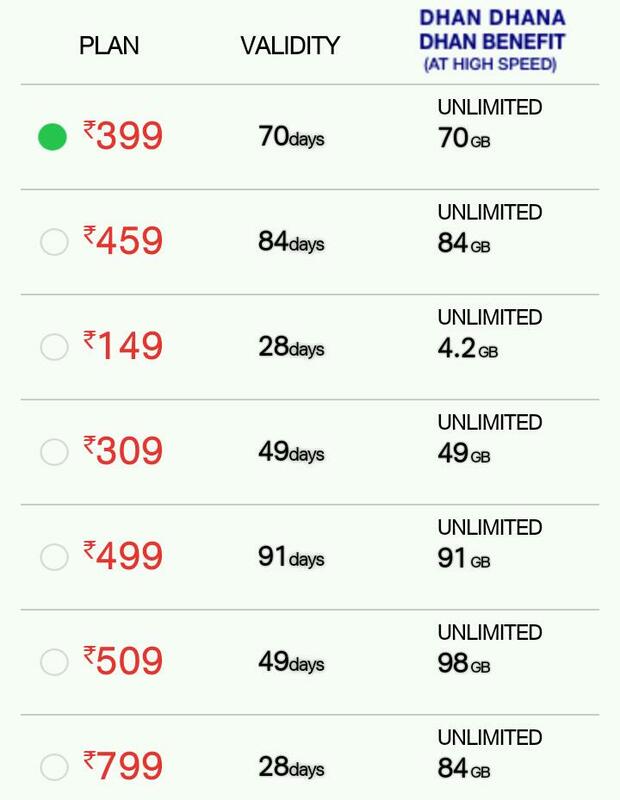 We already seen they are again changing price in recharge plans in this October after the Diwali Special offer. From their new Tariff Rs.399 and Rs.459 plan is more best than other plans. So we are decides to store best cash back offers for Rs.399 & Rs.459 Plan from all online recharge Portals. Reliance has Reduced The Validity Of 399 Plan From 84 Days to Just 70 Days , They Even Introduced New 459 Plan With Unlimited Benefits. The validity of the New Upgraded Plan That is Rs.459 Plan is 84 Days, That is the only difference between Rs.399 & Rs.459 plans. Now look at new monthly plans below. Lets Have A Look into New Launch 399 & 459 Plan! This new 459 Plan Will Replace The Popular 399 Plan Of Jio Dhan Dhana Dhan Offer. Surely this is a bad news for users. But Users can enjoy Jio Free 4G Data with the new plans with discounts from online recharge portals. However you should check validity of your current plan. If it ends Most Of Us Will Find The Best cash back Offers To Recharge for new plans. So now Let’s see best cash back offers for Recharge!